In conjunction with the opening of the Expressions West 2019 exhibition on April 19, juror Geoffrey McCormack announced his selection of prize winners in this 13 state art competition. Expressions West is now in its 23rd year and remains one of the premier exhibitions held annually at Coos Art Museum. This year’s exhibition runs from April 19 through June 29, 2019. 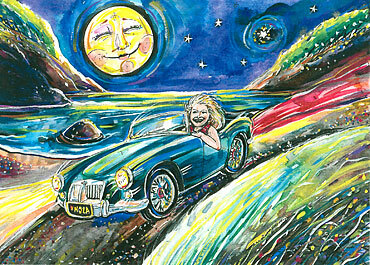 The First Place Prize was awarded to Nancy Watterson Scharf of Oakland, Oregon for her acrylic painting, Eros. The Second Place was presented to Claire Duncan of Ashland, Oregon for her acrylic Uneasy Truce - Broken Truce. Stephen Von Mason of Vallejo, California received the Third Place award for his oil Museum Visit. The three top prize awards are $1,000 for first place, $750 for second place and $250 for third place. Honorable Mention awards were announced during the opening ceremony. The four Honorable Mention recipients are: Ruth Armitage of Oregon City, Oregon for Petroglyph, mixed media; Sarah Hansen of Bend, Oregon for Collecting Time - Floras Lake, mixed media; Eric Olander of Myrtle Point, Oregon for Millie, powder-coated steel sculpture; and Joan Sowada of Gillette, Wyoming for Air, fiber wall hanging. Juror Geoffrey McCormack attended Cabrillo College & San Jose State University earning a Master’s Degree in Art with emphasis on sculpture. Following graduation McCormack taught Visual Art at Cabrillo College for 12 years. After thirty years as a sculptor and illustrator he turned his attention to watercolor painting in 2007. A few of Geoffrey’s recent achievements include: Best of Show at the National Watercolor Society’s 89th Annual Exhibition and Best of Show in both spring and fall exhibitions of the Oregon Watercolor Society. In 2018, the California Watercolor Association honored him with their Gold Award. He has exhibited in China, Belgium, Italy and Greece. His one - person exhibition Learning to Walk in My Own Shadow runs consecutively with Expressions West. interviewed by Pete Chasar during the April Art Walk. A full house enjoyed hearing about Mike's lifelong painting exploits and seeing his new work - all painted from his head instead of from photographs or plein air. Trish Roman's glass art can be seen at Ambiance by the Sea. Trish's glass art is available in many sizes, colors and styles -- all beautiful. Art Walkers enjoyed Rodney Brimm on keyboard and saxophone at Ambiance by the Sea during Art Walk. Gold Beach Artists this month. Artist Pat Renner from Gold Beach. More work by each of the three artists will be on display at the Library for the rest of April. The Library Showcase features a display by Georgia Cockerham for Compassionate Friends. Lon Goddard entertained at Semi Aquatic Gallery. Semi Aquatic Gallery featured a display of work by Brookings Harbor High School Students during the April Art Walk. Billie Ruth Furuichi performed vocals and guitar at Wright's during Art Walk - she also has a display of silk art, seen behind her. Raffle tickets for a gorgeous quilt were available at Wright's during Art Walk. Hal Panter is Artist of the Month at Wright's. His delightful photographs are framed in one-of-a-kind wood frames that are works of art. Greg Russell provided music at Forecastle Books. Wine tasting and appetizers from Great American Smokehouse & Seafood Co. were available at the April Art Walk. Quilt Artist Diana Chasar has a wonderful assortment of her work on display at Forecastle Books. Diana Chasar pointing to a quilted piece she did based on a painting by her husband, Pete Chasar. Brian Scott Gallery is featuring work by wood turner Brian Childers. The three center pieces on the wall are made using salvaged barn wood from the Winchuck River ranch of Cilde Grover. Brian Childers talked about his methods of turning wood and showed a series of photos taken by David Guy so that the audience could see the process and the equipment used. The outer ring of this piece is made from the wood of an ancient apple tree belonging to Cilde Grover. The tree sadly came down in a storm, but now has a new life in pieces of art. Brian explained how he invented a method of holding this piece of wood so that it could be turned. Some of Brian Childers' turned wood art at Brian Scott Gallery. Robert Kosslyn on guitar at Brian Scott Gallery during the April Art Walk. Horst Wolf (pouring) and Paula Edwards cutting a cake at Brian Scott Gallery. Celebrating Brian Scott Gallery Hostess Paula Edwards' Birthday at the April Art Walk. Thanks to all the venues, artists and musicians who made the first 2019 Brookings Second Saturday Art Walk a huge success. Over $1,000 in cash awards are planned for various fun categories of masks based on what is received. Design possibilities include silly, scary, surprising, glamorous, dramatic, unique - or just be as creative as you can be! Masks may be part face, whole face or whole head. An embellished commercial base may be used but not visible. Feel free to be wild and crazy for this fun event! Enter as many as you want, but a $10 submission fee must accompany each mask along with name, address, phone number of artist and sale price. Masks can be listed NFS or may be sold by Two Rivers Art Gallery for the determined price, with Gallery commission of 25%. Coos Art Museum will be featuring an exhibition by Eugene, Oregon artist Geoffrey McCormack April 19 through June 29, 2019. The exhibition Learning to Walk in My Own Shadow will take place in the Museum’s second floor Mabel Hansen Gallery. McCormack is the juror of this year’s Expressions West western states art competition and his exhibition is timed to coincide with it. An opening reception for the exhibitions will take place Friday April 19 from 5 to 7 pm and is free to the public. McCormack will be conducting a walk-through tour of Expressions West on Saturday April 20 at 1 PM. The walk-through will be followed by a tour/talk about Learning to Walk in My Own Shadow. This program is free to the public. Brooking sculptor Donna Goss recently sold a maple burl and translucent orange alabaster sculpture that was featured in a Port Orford art gallery. During the years Donna Goss has lived on the southern Oregon Coast she has created many sculptures that have been exhibited in local or distant galleries and most have been sold. Her sculptures are primarily driftwood combined with stone. The stones are both local and ordered from distant quarries. Donna has created hundreds of sculptures in the past 36 years. Abstract Impressions, an exhibition of paintings by Vince Carl, will be on display at Coos Art Museum. Vince Carl an artist from Rogue River, Oregon is exhibiting in the Richter Atrium Gallery at the Museum April 19 through June 29, 2019. A free public opening for Abstract Impressions will take place Friday April 19 from 5 to 7 pm at the same time as the opening for the Museum’s Expressions West 2019 exhibition. Carl has exhibited widely throughout Oregon but also Illinois, Louisiana, Wisconsin and Nebraska. His most recent solo exhibition was at the Firehouse Gallery in Grants Pass, Oregon. From April 19 to June 29, 2019 Coos Art Museum will be exhibiting the Expressions West 2019 juried art competition. Artists from thirteen western states were invited to compete in this annual event. Juror Geoffrey McCormack has selected eighty-one artworks by seventy artists residing in California, Colorado, Hawaii, Idaho, New Mexico, Oregon, Utah, Washington, and Wyoming. The opening reception for Expressions West 2019 will take place on April 19 from 5 to 7 pm. The public is invited to attend. We anticipate that many of the participating artists will also be in attendance. An awards ceremony begins at 6 PM and Mr. McCormack will present the prize awards for the competition. The three prizes are $1,000 for first place, $750 for second place and $250 for the third place award. Honorable mentions will also be announced during the ceremony. We welcome all to come meet the artists and juror at the opening reception. Juror Geoffrey McCormack attended Cabrillo College and San Jose State University earning a Master of Arts Degree with an emphasis on sculpture. In recent years he has concentrated on watercolor painting becoming a member of Watercolor Society of Oregon, the National Watercolor Society and the American Watercolor Society. He has exhibited widely including a solo-exhibition at Coos Art Museum in 2011. Among many achievements he recently received the Best of Show at the National Watercolor Society’s 89th Annual Exhibition. McCormack will be conducting a walk-through tour of Expressions West on Saturday April 28 at 1 PM. The walk-through will be followed by a tour/talk about “Learning to Walk in My Own Shadow” his art exhibition featured in the Mabel Hanson Gallery on the second floor of the Museum. This program is free to the public and promises to be a very special event. From April 19 through June 29, 2019 members of the Coos Art Museum’s High School Art Club will have works on display upstairs in its Clare Wehrle Community Gallery. In 2018 the Museum instituted its High School Art Club, an afterschool program for students from Marshfield and North Bend High Schools. Recent work produced in the museum classroom or at home by club members will be on display. The art works will be in a variety of media and include both watercolors and drawings. 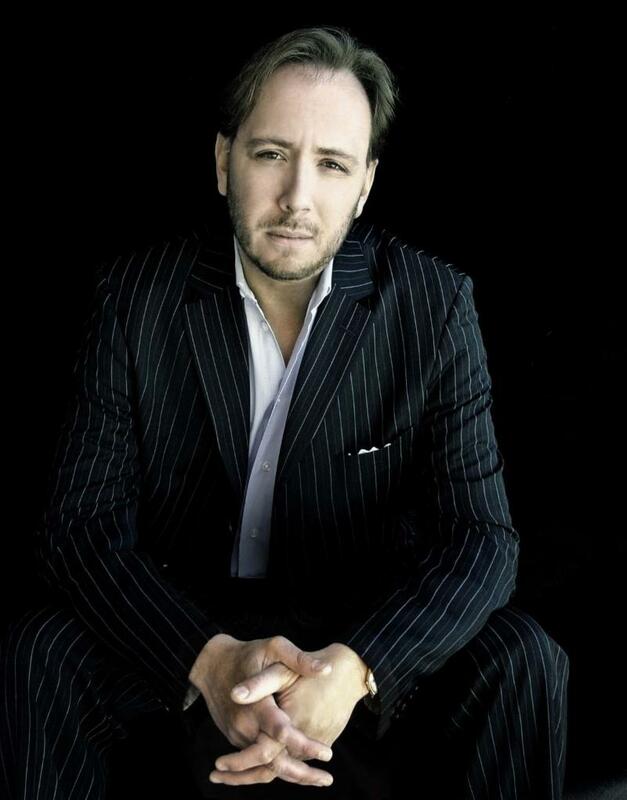 Back by popular demand, American pianist Thomas Pandolfi will once again thrill the Brookings audience with his amazing musical artistry! Thomas is an exciting virtuoso who, with each passing season, is becoming more and more sought after by audiences worldwide, and showered with superlatives by critics for his passionate artistry and amazing technique. Thomas' international concerts have included those in China, Europe and British Columbia. ​An outstanding cross-over artist, Thomas' virtuoso transcriptions of the music of Andrew Lloyd Webber, Marvin Hamlisch, George Gershwin and Leonard Bernstein are in much demand. Pandolfi earned both his Bachelor's and Master's degrees from the legendary Juilliard School as a scholarship student. He is the proud father of a wonderful son and daughter, and resides in Washington, DC. Individual tickets are $20 each. 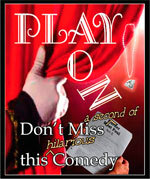 Tickets may be purchased at the door or at Wrights Custom Framing - 810 Chetco Avenue in Brookings, Oregon 97415. The Manley Art Center and Gallery is pleased to present the featured artist for April, Michael Dwaileebe beginning April 2 thru May 4th. His new paintings will bring an abundant amount of Spring color to our soggy land. 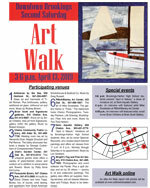 ART WALK on April 13th 3pm-6pm, will be filled with food, drink and music played by Two Time Nelson. Also at Art Walk, participants of the Manley's Plein Air Event will have their art work ready for your vote for 'People's Choice Award' starting at 3pm. Children are always welcome. 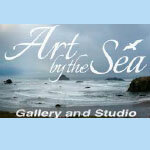 Art by the Sea is offering a schedule of classes in Old Town Bandon through June. You can check on the classes offered at any time at Art by the Sea by going to their website. 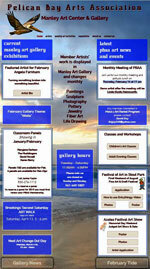 A link to the Art by the Sea website is always available in the right column of this page. Thurs. March 28 – Sumi Ink/Oil Pastel with Sandy Schroeder Learn a new technique using sumi ink/oil pastels on clayboard. This process includes adding sumi ink/oil to clayboards, then scratching if off to show the colored layers below. 1:00-3:30 $40 All materials included. Minimum of 3 students & a maximum of 8. There is a sample on the front desk of Art by the Sea Gallery. Wed. April 10 – Venetian Plaster & Collage with Sandy Schroeder Venetian plaster will give texture. We will play with colored papers, stencils and acrylics. A fun process to experiment with colors and texture. 1:00-4:00 $40 All materials included. A minimum of 3 & a maximum of 8. 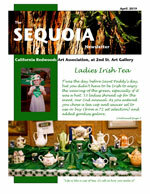 There will be a sample at Art by the Sea Gallery. Fri. April 12 – Sew a Simple Pillow or Small Dog Bed from Recycled, Chopped and Felted Wool Sweaters with Carol Jones Students will have the opportunity to select pre-cut colored squares of sweaters, then hand sew using the provided yarn, pins and needles, to make into a pillow (pillow form included) or a bed for a small dog. (They love natural fibers.) Enjoy a pot of tea and biscuits as you sew and mingle. 12:00-4:00 $65 A completed pillow sample will be on display at Art by the Sea Gallery & Studio in Bandon. Thurs. April 18 – Create a Landscape Using Acrylic Paint by Jean Stephenson Students are encouraged to bring a photo or reference. 11:30-3:00 $35 Minimum of 4 students & a maximum of 6. *There may be more classes to come. **Shows where a change in the schedule has been made. 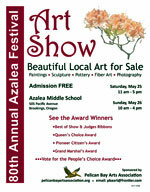 Contact ABTS Gallery at 541-347-5355 for more information. Most classes have a materials list of what to bring with you. The non-refundable fees to exhibit are: $10 for the first piece and $5 each for the second and third piece. Three entries per person will be accepted, which can be for one or both categories. 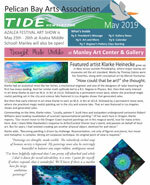 Deliver up to 3 pieces of art, together with completed Entry Form and appropriate fees to Art by the Sea Gallery & Studio, 145 Fillmore Avenue SE, Bandon, OR 97411. At the same time, please attach a copy of your biography (if available), which will be included in the Miniatures & Small Works Show binder. *Note: During this exhibition the gallery commission will be 25%; please price your work accordingly. Remember to bring a copy of your biography to be included in the show binder.